I've tried so many whitening/lightening/brightening lotions in the past that gave different results. Some made drastic changes while some are so-so. Some are cheaper than the leading brand while others are competing in the same price range. This is my first review of one of the most expensive whitening lotion that I've tried to date. I'm a cheapskate so the price of the product is one of the things I always consider when buying. Kb Whitening brand from Yumeimise is one of the most popular brand of skin care products in the market today. This skin lightening product line is available in leading department stores and drugstores nationwide. I honestly like the product despite the steep price. If I'll splurge on something effective, I'll put this on my shopping list. 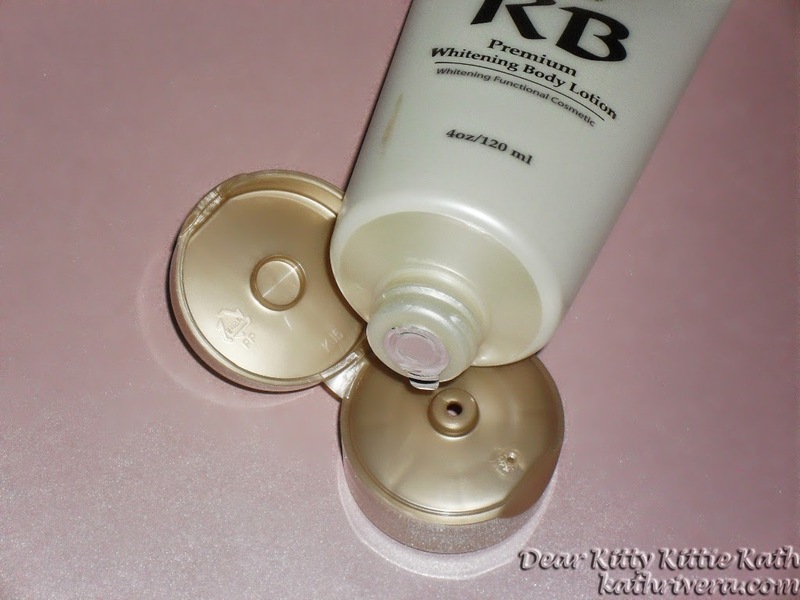 Anyhoo, read my experience below on KB Premium Whitening Body Lotion with spf 30, click CONTINUE READING now! Ever wonder why shelves and stacks of supermarkets and beauty stores are bombared by whitening products? Nowadays, there are 101 ways of skin whitening and manufacturers and companies are now starting their own brands just to have a 'say' in the market. Throwing back from its original root, Yumeimise-KB is known to be specializing in whitening skin care since the day it was formed and has boomed with over 10 products on its roster as of the writing. The line envisions bringing the best formula from powerful and active whitening ingredients that it ended up partnering to biggest cosmetic laboratories abroad. Following the standards set by cosmetic soap industry, it is never to putting health at stake and customizing products for better and faster results are two of the most priorities of KB. KB Premium Whitening Lotion with SPF 30 is the best solution to achieve fairer and healthier skin all over the body. It’s an ideal formula that whitens using the most potent whitening ingredients Alpha Arbutin and Kojic Acid, protects the skin from ultra violet rays with its SPF 30 and moisturizes to prevent dryness with Hyaluronic Acid. Apply twice a day all over the body giving emphasis on the exposed parts like the arms and dark areas like the elbow, knees, bikini lines to achieve even-toned skin. KB Premium Whitening Lotion with SPF 30 is a lightening skin care system that targets the removal of dark spots and blemishes to give skin flawless look while maintaining sticky-free feeling. Experience instant whitening and moisturizing effect right after application from natural ingredients Argan Tree, Kernel and Cranberry extracts. instructions for use: Apply proper amount of the product onto the body softly. The product is contained in a packaging box upon purchase complete with product information and the like. Simple squeeze type bottle is sealed upon purchase. The scent is not overpowering. It has a clean fresh scent. It's easy to apply despite the thick consistency. It's not sticky and non-greasy. It has an instant whitening effect that noticed after application. This lotion has a micro-peeling effect on my skin which I really love! Made my skin luminous after consuming the whole bottle. It has 30 spf- the reason why I'm not afraid to use this at day time. Will I repurchase? If I have the money my honest answer would be YES! I give this lotion a 4.75/5 rating. The product is really effective! The only downside is the price. If you have the money to splurge for a bottle of lotion then you should consider buying this brand. Hands down to the whitening and smoothening effect it gives my skin. It's also the first lotion that I've tried that made a visible micro-peeling effect on my skin. 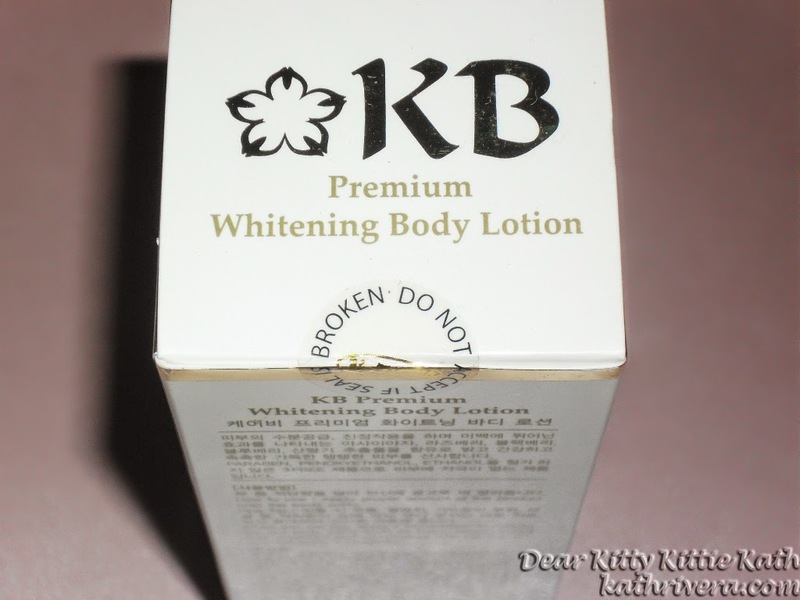 Have you tried KB Premium Whitening Body Lotion? Share your thoughts about the product. DISCLAIMER: This product was sent to me by Yumeimise for a review. The thoughts expressed here are my honest opinion about the product. Too bad about the price tag! I would try this other wise. Do you have a list of the best skin whitening products that you've tried? I love your reviews and I'm hoping to find something to get rid of the tan I got this summer. Wow this IS expensive for lotion! I don't really go for whitening products since I'm already pretty fair-skinned. Nice to know that it's effective, though. I think if it's really effective. The price is worth it. It looks like it has a great track record in whitening. 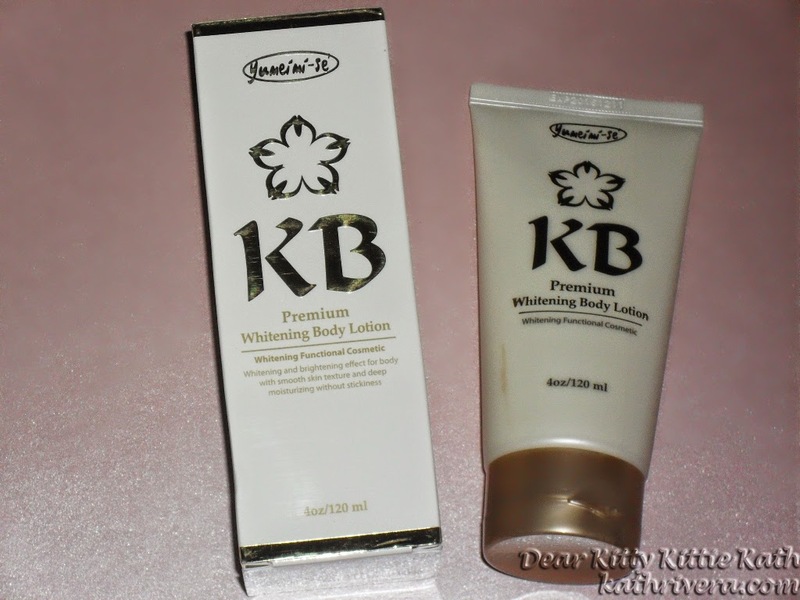 KB product is a nice and must used product for all those with passion for whitening skin. Love your review. Hello Everyone! Because of your review we will be giving 50% OFF to those who wants to buy this product. Just text 09178125836 and tell kathrivera blog promo ---- so get this for only Php900 instead of Php1800. although this cream is too expensive, i think this is worth it to use. I'm not much into whitening lotion but I would like to also give this a try. i am not really too fond of whitening products even now that my complexion is getting darker with age, but this lotion sure looks like something i would try in case i would be needing one in the future. i just hope it wasn't too pricey. They're right! Too expensive but worth buying for ..
how do I get it in the USA?